In addition, there are no low risk single carriageway roads on the SRN, although 93% of motorway travel is on low risk sections. A new interactive ‘Dangerous Roads Map’ from motor insurer Ageas, using analysis from the Road Safety Foundation (RSF), has revealed Britain’s riskiest roads. The RSF report, Getting Back on Track, reveals that while 3% of vehicle travel nationally is on unacceptably high risk roads (high risk or medium-high risk), 10% of travel on SRN single carriageways is on unacceptably high risk sections. The 40 ‘persistently higher risk’ roads identified in the map had an average of at least one fatal or serious crash per mile along their length in the three-year survey period (2014-16). None of the roads, which include three sections of road on the SRN, were included in the Government’s Safer Roads Fund, which is providing £100m out of an initial budget of £175m to address safety issues on 50 high-risk local authority roads identified in 2016. Ageas and the RSF are calling for an immediate investment of £75m from the Government, and a further £75m annually for five years thereafter, to improve the riskiest roads. They have estimated that this total of £450m could prevent as many as 5,600 deaths or serious injuries over the next two decades. The report reveals that the highest risk road on the SRN is the A259 between Pevensey and Hastings, overtaking the A21 between Hurst Green and Hastings, which remains 'unacceptably high risk'. The A5183 from junction 9 of M1 to the South East of Dunstable, which was detrunked in 2017, was also identified as unacceptably high risk. The report acknowledges that safety improvements are planned or being carried out on all three sections. A Highways England spokesperson said: ‘Safety is the top priority for Highways England and the roads we operate are amongst the safest in the world. The overall picture taken from more recent reports (latest data from 2017) shows we have significantly reduced the number of casualties and collisions across motorways and major A roads in England. The Safer Roads Fund uses the International Road Assessment Programme (iRAP) methodology to improve high risk roads, by addressing design issues. As Transport Network has reported, in 2016/17 Highways England had the entire SRN star rated, using the iRAP methodology. It has agreed to publish the findings by the end of this year. The national roads operator has a target to improve the majority of roads assessed as below three stars by 2020. These are likely to be single carriageway roads. 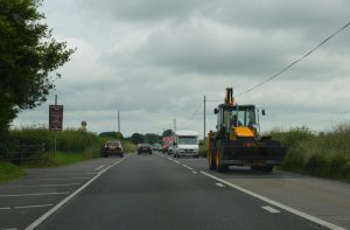 However, Highways England has not so far disclosed its progress against this target.